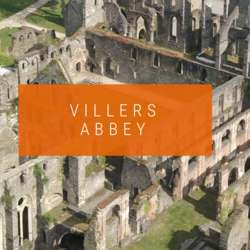 INTRO: "the Abbaye de Villers (Villers Abbey), situated in the commune of Villers-la-Ville (Belgium) in grounds of more than 36 hectares, is a destination site imbued with history and emotion. It was founded in the 12th Century, under the aegis of Saint Bernard. Today, its majestic ruins give a marvellous idea of the life of monks of the Cistercian Order. What you can find here: Protected content of history and lots of activities to suit all ages... theme-based, guided visits, family discovery walks, activity days, open air concerts and theater, exhibitions, walks around the Abbey and more!" CARPOOL: I have 2 seats available in my car, please other drivers that are whiling to share seats to manifest proposals.